Gumbo: Gumbo TV: "Here, hold my beer." Gumbo TV: "Here, hold my beer." 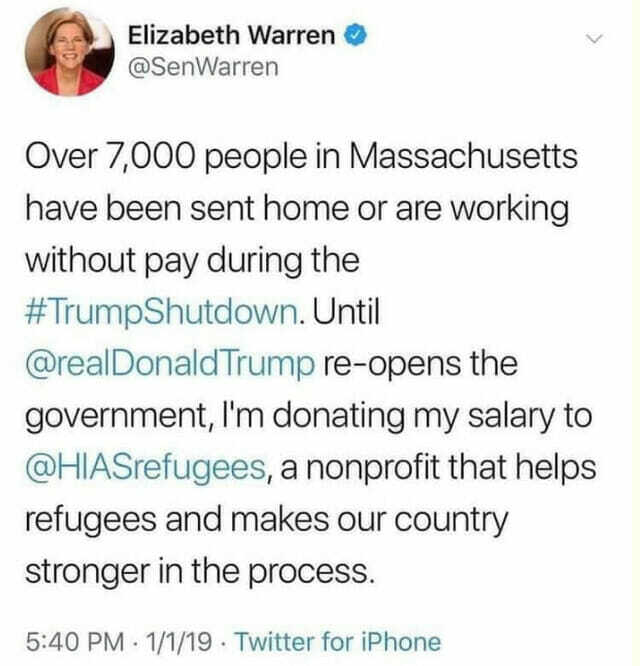 Caucasian Senator Liz Warren is very upset that government employees are not working. In fact, she’s so upset she’s donating her salary to foreigners.